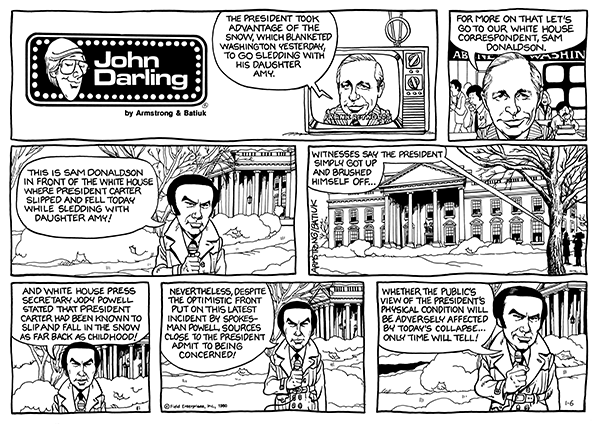 With this strip, we begin the journey through the second year of the John Darling Sundays. Along the way, I’ll be adding any annotations I feel are necessary such as the fact that in 1980 Frank Reynolds and Sam Donaldson were an anchor and reporter respectively at ABC. Now that I have a full calendar year in hand, I’ll be running a Johnny D Sunday strip every (wait for it)… Sunday!